Born in 1972. Finalist in the Mosman Art Prize and the Tattersall’s Art Prize. She lives and works in Sydney. Gria Shead, daughter of artist Gary Shead, was born in 1972. In 1992 she was an apprentice to Printmaker Gaye Paterson-Lamb in Washington DC, USA and in 1995 she graduated from the National Art School in East Sydney. 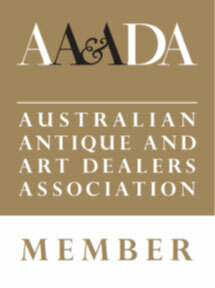 Shead had her first solo exhibition in 1996 at Selborne Chambers, NSW and her first group exhibition in 1994. She married fellow artist Luke Sciberras and the couple had a daughter Stella and lived together in Hill End, a former gold rush town and popular artist residency formerly home to Russel Drysdale, Donald Friend, Jeffrey Smart, Brett Whiteley, Margaret Olley and others. Shead has been finalist in many prizes including the Mosman Art Prize; the Tattersall’s Art Prize three times and has won two awards at the National Art School in both printmaking and drawing. She currently lives and works in Sydney. Her work is held at the University of Sydney and in private collections worldwide.